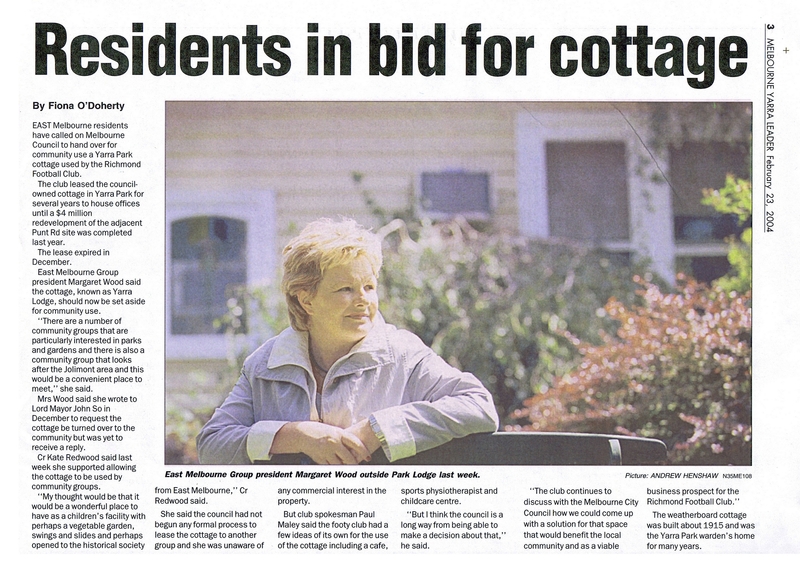 Newspaper article about a proposal to turn the old Yarra Park warden's cottage over to community use. Photo. 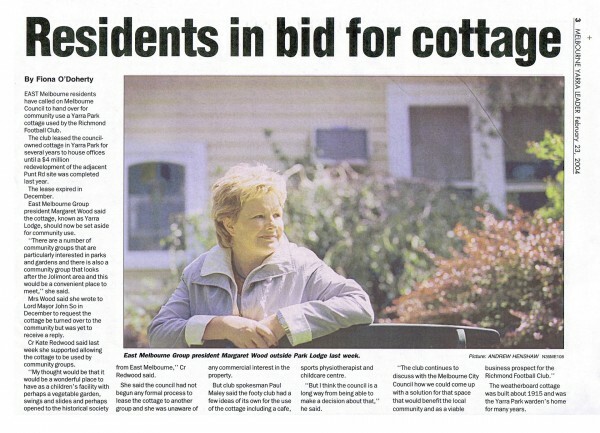 The Leader 23 Feb. 2004.